Define your brand vision, tell your brand story and empower your sales team with the right tools to get in front of the right people to scale and grow your business. Discover all the essential tools you need to empower your sales team for huge success. DO YOU WANT TO ATTRACT BIGGER AND BETTER CLIENTS? Do you struggle to motivate and share your company vision with your team? Is your sales team struggling to get good quality leads? Is your team empty handed or ill-equipped to generate sales or close deals? Are you losing jobs and contracts to bigger competitors? Do you want to look like a more established brand and beat the competition? Do you or your team find it hard to explain what your company does to others? Are you embarrassed about your brand and marketing tools, or lack of? Do you want to scale and grow your company? Do you want a team that lives and breathes your brand like you do? Do you want your team to step up and help you grow the business? before you invest in your sales team, you must first invest in your brand. If you want to grow your business and make your brand known to the right people, you’ve come to the right place. I help passionate business owners define their brand vision, share their brand story and empower their sales team with meaningful and memorable marketing tools that work. With our Business Development Kit, we’ll help your team connect with the decision makers that have the authority to close the deal. Whether your business is B2B or B2C, it’s important to understand that businesses don’t make the final purchasing decisions – people do. We focus on developing effective marketing tools that help your sales team to make meaningful, memorable connections with the right people – the top level decision makers that can say yes to your offer and help your business grow. 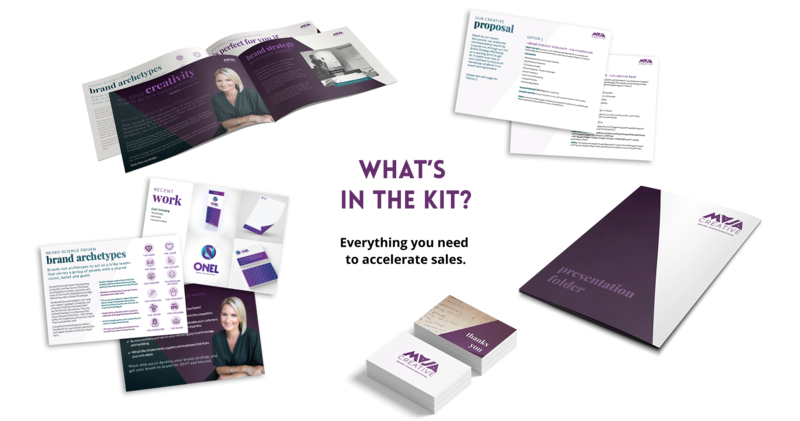 If you need to sell, you need the Maja Creative Ultimate Business Development Kit. We’ll create essential branded marketing tools to help your team sell with confidence. I contracted Maja from Maja Creative to design a 'product strategy' for my service business so that I could package what I do and then sell it as a stand alone item. It took us both a little time to get our heads around what was needed here but without Maja's creative genius I know that I could never have even gotten the thing off the ground. With an A5 brochure and DL bookmark that outline the product including the necessary steps, timing and investment required, I have been able to successfully sell 4 stand alone packages. At the time of writing one is still working through the process but the other 3 have all finished and continued on into ongoing work. The return on investment for this project is already paid but will in time be huge - on current business alone it's sitting at an ROI of 48 times - and every new sale adds another 12 times to the ROI. Obviously I am a fan of Maja's work, but the numbers speak for themselves and the real value of creative design is in the return, why settle for anything other than the best? All good creativity starts with a good brand strategy. 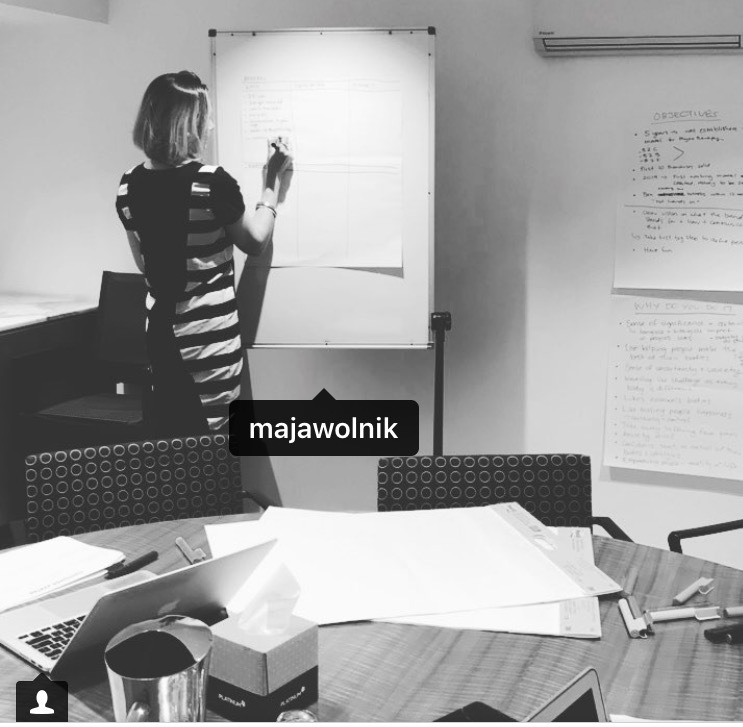 If you want to work with our talented team, our first step is always to take you through our unique 1-on-1 Brand Strategy Workshop. If your brand is outdated or you are considering a re-brand, we’ll create a fresh new brand identity that truly reflects what your brand stands for. We help you create powerful presentations customised specifically to your audience or meeting to keep them keenly engaged and wanting to learn more. We can help you create additional essential documents specifically for your needs such as catalogues, proposals, forms, promotional flyers and more. 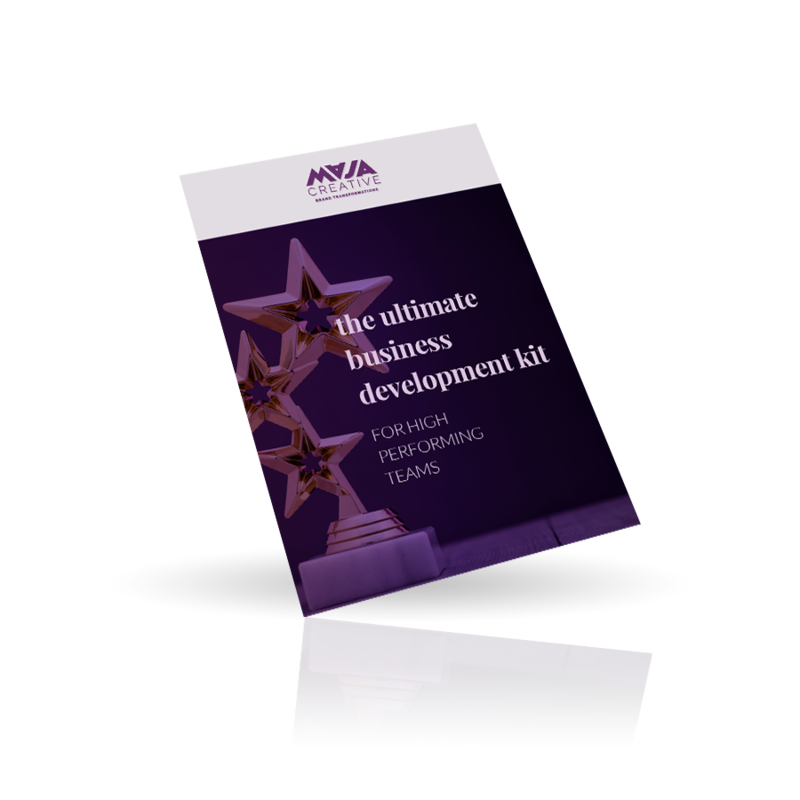 ready to build your ultimate business development kit? No matter what type of business you’re in or what stage you’re at, we’re here to help you succeed. Book in for a call today and we can discuss your unique needs. Read up on our case studies to see how we’ve helped our amazing clients empower their teams to succeed.